Dianna Wiggins was a beloved mother of two, sister of four, and friend of many. Over the past few decades, she earned professional respect in the fields of workers' compensation and insurance from Florida to Maine and all points in between. Her frequent travels around the United States ended in Daphne, Alabama on January 25, 2019. Shortly after one last business trip to Tallahassee, Florida, she passed away unexpectedly but peacefully at home. Whether advocating for her child to their teacher or employees to a company’s owner, Dianna always strove to ensure fair treatment for all. She worked in industries ranging from convenience stores to banking to accounting to insurance. However, occupational safety became a true passion. She took great pride in the knowledge that workers were able to go home at the end of the day, safe and secure, due to her diligent efforts. In the summer of 1972, Dianna Soroka went to Lake City, Florida to visit her family, who had just moved from Michigan. She was to go home to her fiancé in two weeks. Instead, she met a man named Joseph Wiggins at a local Assemblies of God church. She ended the previous engagement and married Joe in 1973. 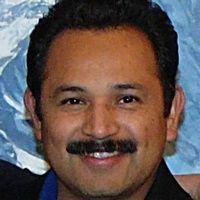 They had a daughter named Jodi (“Jo” for “Joseph” and “Di” for “Dianna”) in 1974 and a son, also named Joseph, in 1981. Sadly, shortly after her son’s birth, Dianna Wiggins lost her husband. Since that time, she worked to provide the best upbringing possible for her children. Jodi and Joe, and all of their relatives, will tell you that she never stopped caring for them until her very last breath. They hope to make her proud and believe that she had inadvertently been training them all their lives to be as strong as she was. Dianna is survived by her daughter Jodi Wiggins, her son Joe Wiggins, her sisters Debbie Huffer, Dorice Soroka, and Darlene Oshinski, and her mother Shirley Soroka. Lois passed away very unexpectedly on Thursday, January 24, 2019 and this fund is to help with funeral expenses. Any donations would be appreciated and goes directly to the funeral home in her honor. 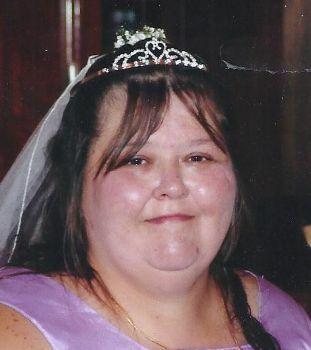 Lois A. Speck, 56, of Fostoria passed away Thursday January 24, 2019 at the ProMedica Fostoria Community Hospital surrounded by her loving family. Lois was born on November 22, 1962 in Findlay, Ohio to Max and Carol (Coppes) Howard. She married James Speck and he preceded her in death on September 2, 2018. 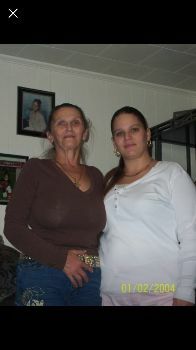 Lois is survived by her children: Ashley (Timothy) Bissett and Nicole Howard, grandchildren: Skyler, Trey, Zayaden, Liam and one on the way; mother Carol Decker, siblings: Janice (Ken) Holbrook, Charles and Dirk Howard and Ray (Sheri) Carey, nephew, Michael (Rachael) Howard and nieces Patti Lantz and Mychelle Abdo. She was preceded in death by his father Max Howard, sister Mary Lantz and brother Derek Howard. Lois enjoyed cooking, crossword puzzles, latch hooking, playing solitaire and collecting bears. Lois was an excellent cook who was known for her macaroni salad. Most of all Lois loved her family, especially her grandchildren who were her pride and joy. Lois was also a member of the Salvation Army Church in Findlay. Visitation for Lois will be on Tuesday, January 29, 2019 from 3:00PM until the time of her Celebration of Life Service at 6:00 pm in the HANNEMAN FUNERAL HOME, 201 Osborn Ave., Findlay, Ohio 45840. In lieu of flowers, memorial contributions may be gifted in Lois’ honor to her family c/o the Hanneman Funeral Home. 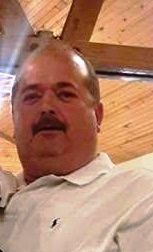 Joseph B. Johnson, 52, of Niles, passed away from, injuries sustained from an automobile accident on Tuesday, January 22, 2019. He was born on October 28, 1966 in Niles to the late Fay Alvin and Jo Ann (Barrett) Johnson. Joe had previously been employed through Wag’n Tails in Granger, Indiana. He was an avid Notre Dame and NASCAR fan. He was preceded in death by his parents; his father in October of 2018 and his mother, January of 2000. Joe is survived by his siblings; LuAnn (& Gene) Solloway of Elkhart, Indiana, Teresa (& Rodney, Sr.) Solloway and Fay Johnson, Jr., both of Niles, David (& Heather) Johnson of Leesburg, Florida, and Shelley Johnson, Rita Johnson and Richard (& Jamey) Johnson, all of Niles; 51 Nieces and nephews, 49 great-nieces and nephews, and 5 great-great-nieces and nephews. He will also be remembered by his girlfriend, Peggy Smith and her children, Stephanie Miller and Joshua Krueger. Funeral services to celebrate Joe's life will be held on Saturday, January 26, 2019 at Brown Funeral Home in Niles at 5:00 p.m. with a time of visitation beginning at 3:30 p.m. A private interment will be held, where Joseph will be laid to rest at Silverbrook Cemetery, with his parents. Joe's family has requested memorial contributions be directed to assist with final expenses. We are asking for donations for the cremation of our beloved Jonathan. He was always smiling and joking around, he was selfless and always willing to lend a helping hand. As we all know funeral expenses do not come cheap and this was definitely unexpected. If we all pitch in we can have this paid for so the family can rest a little easier. They have enough to deal with without having this financial burden on their shoulders. The funeral home can't go get Jonathan until the bill is paid and we want to bring Jonathan home as soon as we can. Please any amount helps and the donations go directly to the funeral home. God Bless! It was not quite a year ago, on Feb. 8, 2018, that Terry Stanton lost his wife, Kimberly, very unexpectedly. She had survived 7 heart attacks, triple by-pass surgery and six stents until that big ol' lovable heart of hers just gave out. Totally unexpectedly. Terry, a Vietnam veteran, was also facing serious health issues of his own, including renal cancer, but he faced his battles with great courage. He knew this was a tough time for their children and extended family. On Tuesday, January 22, 2019, Terry closed his eyes to the pain and suffering of this world and he was welcomed into Heaven. Can't you just see Kimberly's out-stretched arms at that happy reunion? Now, the family is faced with a different kind of struggle - a financial one. Unfortunately, the health expenses over a number of years have had a toll on the family. Terry does not qualify for Medicaid assistance and the Indiana Veterans Benefit is only $100. we are trying to see if he qualifies for any federal benefits but he was not currently receiving care through the VA health system. It is said that many hands make light a task and that is where you can help. If we all pull together, we can be a tremendous help to their family. Doing little random acts of kindness are a blessing to those in need...but they have a "boomerang" effect...for you see, those little kindnesses have a way of coming back to you ten-fold...often when you least expect it! A Memorial Service celebrating the life of Terry Stanton will be held at 2 p.m. Thursday, January 31, 2019, in the chapel at Ever-Rest Memorial Park. Military rites will follow with honors accorded by the Cass County Honor Guard and the U.S. Air Force Honor Guard. Friends will be received at the cemetery chapel from 1:30 p.m. Thursday until the time of the service. My father had one of the biggest and purest hearts in the universe. He was an amazing grandpa and father. He was very involved in everyones lives to the fullest. He went out of his way to make sure everyone was happy and safe. Theres was never a dull moment with him. He always lit up the room with smiles and laughter, thats for sure. I remember the first time he saw my son.. i had never seen him have that big of a smile and look that happy. Or how many times I came over after having him watch my son, and Draiyson would be sleeping sprawled out across his big belly. 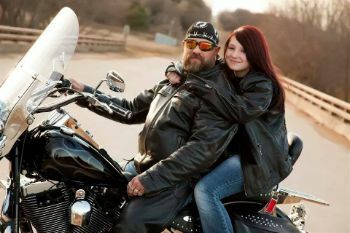 He was involved also in a couple motor cycle clubs as well like the Guardians Of The Children and Bikers Against Child Abuse. He went out of his way i don't know how many times he helped get children to a safe place. His life was dedicated to helping anyone who needed the help. We just found out he does't have life insurance so getting all the money for everything is going to be a little tricky.. Myself being 20 and a stay at home mom can't help very much. His girlfriend is doing anything and everything she can to get some money rounded up for the funeral and cremation. I appreciate any help that can be given, we really need it at this point. Were $646 short of making the set donation goal of $2,500 amount that we need to pay the remaining left on the funeral expenses that we couldn't get financed. Please share and if you can only give $5, 10 or more thats ok every little bit is going to get closer to our goal. But the time clock is running out. This is not a go fund me account. This is a fund the funeral and strictly for this and goes directly to the funeral home. We have nothing to do with the set amount or any part of the donation its all handle by the funeral director/owner. Help us make our goal before his funeral tomorrow at 10 am. So we need to closer to our goal otherwise I have to find that money tree to pay the rest at time of his funeral. I am already in debt with this funeral expenses from the funeral expenses. Plus his bills he left behind in his name. Obiturary: Please click on the link and sign the guest book under the tribute page. I am the wife of William Davis for 32 yrs and been together all together almost 35 yrs it would been 35 yrs in July. :( We have to young adults with disabilities who I am there legal guardian even though they are William (Willy) age 24 IT college Student at Matc, and daughter Marie age 21, currently in high school and currently working as project search intern at the airport for her last year of high school. We were just talking about going to both our kids graduation in May 2019 plus 2nd one for our daughter will be in project search graduation in May 2019. Now its hard to know he won't be there in the physical sense. We were not ready for this event to happen. Nobody really is? We had no pre funerals arrangements we don't have life insurance either. Living on social security income really doesn't prepare for this expense. We had to take a loan out for big part of the funeral arrangements but fell short due only got approved for certain amount. Now have another bill to add to our monthly budget. Social security only gives you $255 lump sum. I have already called them and informed them of his death on the day he passed. He died at home which makes it harder on us. Our kids where here when this occurred and my son performed CPR for the first time in his life while I was on phone with 911. We still in shock he is gone! Never expected this coming we knew he was sick but he was refusing to go the dr or er. We begged him to go his answer was clearly NO! He was a stubborn man when it come to getting help when he needs. He had many health issues and he was suppose to have a lung bronchoscopy the day after xmas but he refused to do it. They been seeing lung nodules on the ct scans for awhile now. Why he needed to have this done and get a biopsy as well. Now they are still trying to figure out his cause of death. 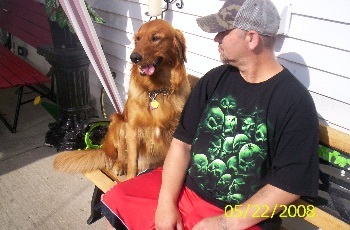 Now my beloved husband Bill is with his best friend Max (one in the photo) together again. Thanks for any help you can give us. We appreciate your help. We only have until the date of the funeral Wed Jan 16, 2019 to raise the remaining set donation goal. 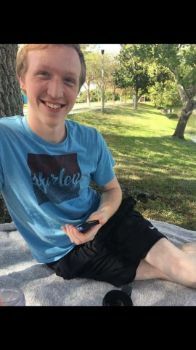 Remember to share the link https://fundthefuneral.com/william-davis? by clicking on the photo and then it will take them directly then click on donation, also hit on Facebook share button. Thanks for sharing and if you can't donate that is ok too but every little bit helps, $10, 20, etc just have to get this goal met before tomorrow at 10 am. Please help us get the rest of the balance so we can give our husband/dad a nice funeral tomorrow. Silvio was loved by all who knew him. He was a painter who was commissioned to do many murals in the area. He was a devote christian who loved to share the word of God. Silvio was proud to be apart of the McComb Community and this account is to assist with his burial expenses. Any bit would help his family and his two girls which he leaves behind. Please feel free to donate directly here. All funds will go directly to the funeral home to offset the cost for his services or can be mailed to Hanneman Funeral Home, 201 Osborn Ave., Findlay, Ohio 45840. Service information will be published in the next few days.